There are many ways to understand the energy around us. In western philosophy, when we talk energy we use a scientific lens. We logically categorize each finding into its own tidy compartment: kinetic energy, potential energy, thermal energy, chemical energy, gravitational energy…(yes, I loved my science courses * nerd face * 😉 ) We try to create something tangible out of the unseen – and I’d say we’ve been quite successful at it! We take these concepts to help us understand the world around us – another thing that science has been quite successful at too! But that’s not quite what I’m interested in learning these days when it comes to energy. I’m more interested in the deeper workings of energy within ourselves – not just how something works but the big picture of how everything integrates together (mind, body, spirit). This is where systems of Eastern Philosophy can help! Today we talk about how energy flows within ourselves based on Chinese Medicine. Caitlin Donovan, an acupuncturist, herbalist and face reader with a Master's degree in Chinese Medicine is here to teach us all about it. As Caitlin puts it - in our western world, we process information in a linear fashion whereas with Chinese Medicine everything happens in a circle. You need to see all parts together to understand the picture. In this episode, we talk about M-O-N-E-Y. A topic that many shy away from even though we all want and need it. Why is that? Probably because there's so much stigma around money plus our own complicated relationship with it. We want it but we're afraid to admit to wanting it. Maybe we somehow came to know it as evil. Maybe deep down inside we don't feel like we deserve it. Or maybe it's because we think that wanting it makes us greedy people and the last thing you want to be is evil especially when you want to do nothing but heart centered work and make a positive change in the world. See, it's complicated. Here's the thing though - if you truly want to do heart centered work or have creative freedom, you need to be financially viable! If you're not financially sustained, all you'll be thinking about is how to make the next dollar so that you can pay rent or have lunch. Tanner Kennedy, Law of Attraction Money Mindset Coach & Founder of The Own Your Worth Project talks to us about how to approach this topic and what's really blocking us from the abundance we desire. "Think about it this way, the more you have, the more you'll be able to continue your work and help others. Scarcity mindset makes us think that our gains take away from other people but that's just not true". Before you listen in, I want to point out that when we refer to "entrepreneur" it doesn't mean that you need to have a full fledged business. This applies to you even if you're selling art on the side, crafts on Etsy or teach Yoga classes! Happy Listening! Jenny Ravikumar is a devoted yoga practitioner, yoga teacher, reiki master, certified crystal healer through Hibiscus Moon and owner of the Barefoot Yoga Shala studio based in Massachusetts. Most recently, she started a successful non-profit, Yoga for Families of Addiction. As the name implies, this non-profit provides healing for friends, families, and spouses of addicts. Through Jenny's own experience she found that there are many yoga platforms to help addicts themselves get through their struggles but there was nothing out there to help the people who love the addicts. With Yoga for Families of Addiction, Jenny creates holds space and creates sacred sessions to help friends, families and spouses of addicts get through the tough stuff like shame, co-dependency, anger and forgiveness. We cover a lot of interesting topics in this episode including a short pit stop on how it's possible to fuse together religion and yoga, but the main topic here is how to stand in our truth and show up authentically even in times of great struggle. Here is Part II of the conversation that I had with the lovely Mia Mitchell! Last week she shared the heartfelt story of her darkest hour - loss of a best friend, the downfall of a marriage and contemplation of a life not worth living. In essence, Mia's story is a powerful voice for mental health awareness. With time, Mia healed and now has a successful essential oils business where she helps others in their own healing journey. 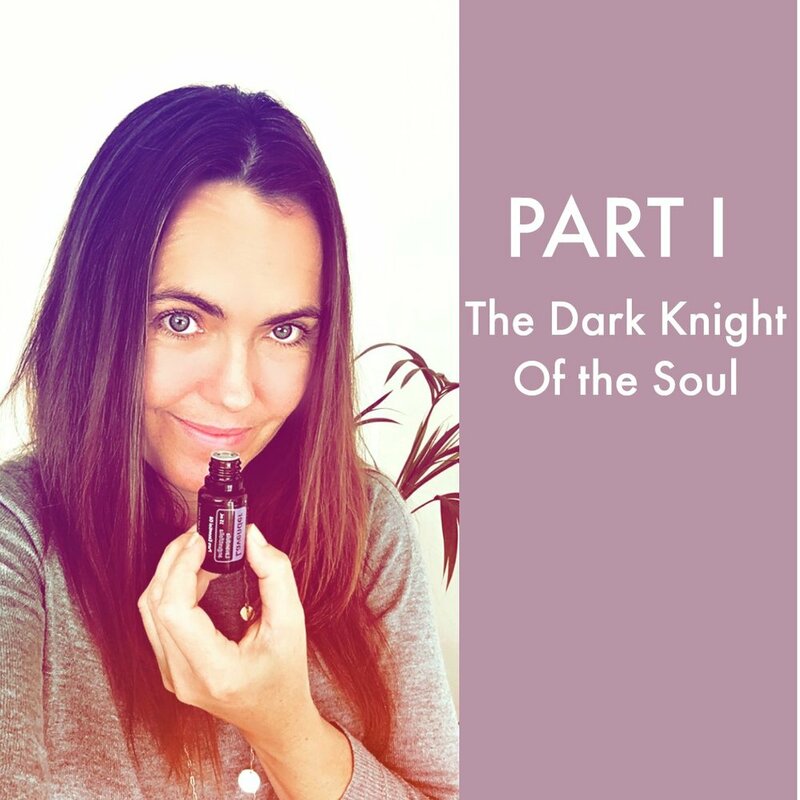 In Part II of our conversation, we focus on the thing that helped her recover: Essential Oils! How they help, how to use them (ie. on chakra points) and Mia'a top 10 favorite oils for healing. Mia Mitchell is a beacon of light who works to guide others into a life they love by using essential oils as her trusted tool. This lovely Australian lady’s heart centered essential oils business stems from a reason more deep-seated than passion if you can imagine. I dare say (after hearing her story) that this is the truest form of expression of herself. A manifestation of her soul’s purpose, born from her darkest hour. You’ve probably caught on by now that this interview went for much longer than anticipated! I’ve split it into two parts for you. Today, I present to you PART I where you’ll hear Mia’s story about mental health. Next week I’ll release PART II where we tap into her expertise on essential oils. In the last episode of Bite Sized I talked about the importance of knowing when to quit and how it can be just as important as the power of perseverance. The wisdom is in knowing when to do which. In this episode I talk about what to do with that information. So you have an inkling that you need to quit something in your life. Now what? Where do you even go from here? I've been there many times - not ready to actually take the leap because I haven't got the slightest idea of where to place my foot. I've reflected on my personal experiences and lessons to distill 5 action steps that can help you reset your compass so that you have at least a little bit of idea which direction to go. Thank you for tuning into the final episode of launch week for my new segment, BITE SIZED! Today I answer the question that I ask all of the guests I interview: What Is The Biggest Lesson That You've Learned Along the Way? QUITTING is just as important as PERSEVERING and takes just as much courage. The wisdom is in knowing which is which. Quitting has such a negative connotation attached to it and it basically equates with failure if you decide to give up. But is it really that bad? If you think about it, sometimes the resistance to quit stems from the same reason that we resist to persevere: The Fear of Failure. Before you make a judgement on whether to quit or persevere, you need a few more pieces of information. I share my personal story of the trials and tribulations it took for me to learn this lesson (it got handed to me a few times before I totally understood). In reflecting on my experience, I found 5 signs that suggest it's probably time to quit; and of course, I share them with you! Welcome to the very second episode of BITE SIZED! Transitions are never easy even if it's a change for the better. Career change, ending a relationship, starting a new endeavor....it's scary to take a leap of faith! But once you hear what your heart truly desires, you can't really go back. Today I talk about how to keep going even when it's scary and I share with you my two greatest pieces of inspiration that kept me (and still keeps me) going when that low vibe self-doubt starts to kick in. That speech that Oprah did that helps me get through the thickest of doubts. I'm adding to the goodness with a new segment called BITE SIZED. In these short 15-20 minute episodes I go solo and completely candid to deliver a dose of inspiration, knowledge or sum up golden nuggets from past episodes. It's my way of amplifying the good vibes :) I haven't reached enlightenment or anything like that yet but hey! I've picked up a few nuggets of wisdom on my very own journey and I want to let you in on it. Bite Sized episodes will be hot and ready for you at the beginning of every week (still deciding on an exact date...maybe Tuesdays?? ); and don't worry, the longer interview episodes are still happening! There's so much knowledge and experience to learn from each other, I can't see it stopping. You can still expect the interviews at the end of the week. I really, really, super really want this to be valuable for you. It's my deepest intention to inspire you, spark a transformation within you or give you that second wind when you don’t think that you can keep going. I'm going to keep trying to keep delivering value but I also need your help! Please let me know what you think of these episodes by leaving a comment below or hello@curiousmonki.com. And if you really love what you hear, please give me some big love by leaving an itunes review. As I keep saying, we have so much to learn from each other that can help us along our own paths. This journey is your own but you're not alone! 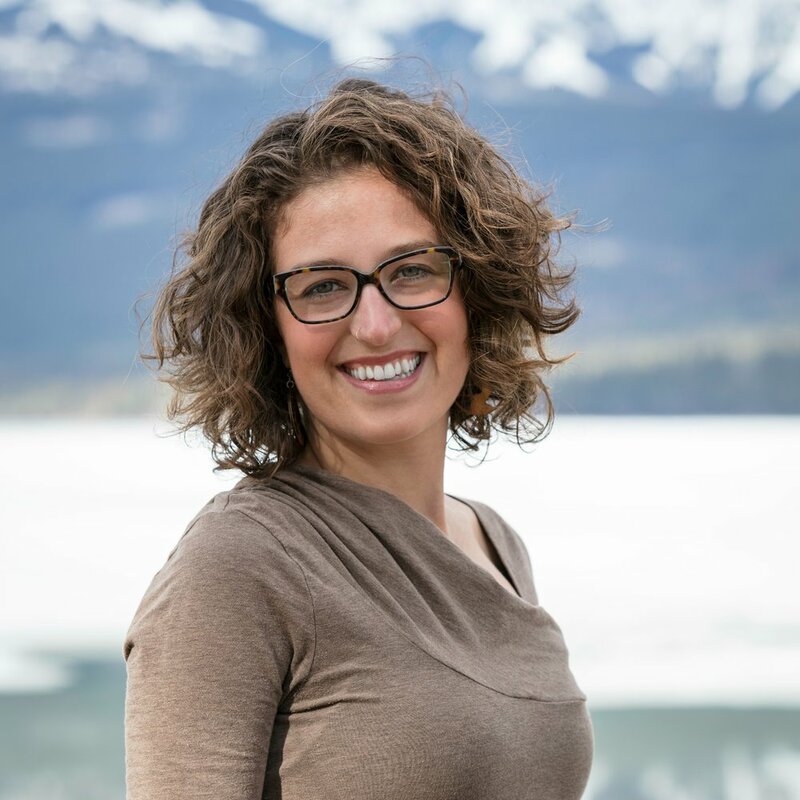 Rachel Scott is a yoga teacher trainer, instructional designer, and writer. She regularly contributes to Yoga International and is the author of Wit and Wisdom from the Yoga Mat and A Yogi's Guide to Dating. With over 4000 hours as a yoga teacher trainer, her passion for helping yoga educators create excellent trainings certainly shows through. I am so grateful to have Rachel and her captivating energy on this episode! You've probably guessed by now that the topic is all about Yoga Teacher Training. In specific, Rachel helps us understand what separates an exceptional training from a disappointing one. You're going to want to listen in whether you're considering taking your first yoga teacher training, continuing yoga education or playing around with the idea of being a teacher trainer yourself. Rachel breaks down the reason why sometimes amazing yoga teachers deliver a less than satisfying training, prepares you with pertinent questions to ask if you're looking into taking a training, and lays out what makes a remarkable teacher training (spoiler alert: part of it falls on the responsibility of the student). I wish I could tell the whole wide world about this one because so many people struggle to find a good yoga teacher training. It's not something that you'd want to roll the dice on either, seeing as how each training is thousands of dollars. Rachel's advice is worth its weight in gold! So if you know somebody who would benefit from this info, keep the good vibes going and SHARE THIS EPISODE! Many thanks to you for joining me. Now, plug in those headphones and listen away! Anne Douglas of Episode 30: Messages from Our Bodies and How Anahata Yoga Can Help You Listen is back on the show and this time she's here to talk yoga philosophy. Perhaps you'd really like to understand the philosophy of yoga but words like "vedic" "samkhya" and dates older than 1995 makes your brain want to take a nap. Sanskrit and history are not your forte. No problemo, start here! Who better to explain this stuff than a patient, knowledgeable teacher who happens to be passionate about how yoga philosophies help us resolve suffering. In this episode, Anne helpfully explains the two major schools of thought in yoga philosophy: dualism versus non dualism. Basically, are we one with nature or are we separate with nature? Depends. We go into depth to understand what these two philosophies mean in the bigger picture as well as to how we relate to life individually. By the end of the episode, you'll be cooing about purusha and prakriti like it ain't no thing. This episode is loaded so buckle in and get your learnin' on! "There is no one straight path"
I think what's so alluring about these stories is that these people stopped to ask themselves somewhere along the way "what do I truly want in life?" and then mustered the courage to try and figure it out! "What do I truly want in life?" and "How can I be happy?" are questions that we eventually ponder. Growing up, we're taught to pave our lives out in one straight path and to fear the unknown, but the heart desires truth and purpose, and those things might not be on the pretty paved road. That's why stories of daring leaps perk us up. "What you desire can change." Ah yes, life likes to keep it exciting doesn't it! Just when we think we've figured it all out, the tides turn. The key is to continue tuning in and pivoting as needed. In this episode, we get to hear about just that as Andrea Catherine opens up candidly about her next leap in life. Andrea is currently a yoga teacher, yoga health coach, Ayurvedic health counsellor and host of the podcast, Fearless Self Love. Her new calling is calling though and she's in flux to move toward her dream of creating a space that's a destination for travelers, locals and folks in transition. We also talk about self-love - what it means, how to do it, and how the practice of it has helped Andrea arrive at where she's at today. Elizabeth Nguyen is a yoga teacher and founder of Yoga Boss Babe, a subscription box to help yoga teachers grow a thriving business. This girl works with a stunning amount of dedication, authenticity and passion! She is in love with her business and life today but like all great creators, there was quite a bit of travelling to get to this leg of the journey. In fact, the first business she ever created was one that she didn't totally love. She eventually went with her gut feeling and searched for an idea that made her feel excited and passionate. One thing led to another and she came up with YBB! There are so many rich lessons in Liz's story including how to know when an idea is truly for you, what challenges to expect when you pursue what you love and what it takes to succeed. Plug in those headphones and get the idea juices flowing! The Four Agreements by Don Miguel Ruiz – inspired Liz to slow down and come up with more of a mindful response vs a reactive response; and to let go when it doesn’t matter enough. Like Liz, Alison was interested in helping people via the healthcare system. And like Liz, she started to wonder if there was a natural remedy that could alleviate the number of pills that patients ended up relying on. Listen to Alison's story of how she went from pharm tech to massage therapist to yoga teacher and to sound bath healer. There are so many paths that you can take your yoga career. Like Liz, Amanda is also helping yoga teachers flourish via their own unique path. Listen to this episode for the three key items that you need to have for a successful yoga career. Awilda Rivera is a yoga teacher, spiritual advisor and success coach who has dedicated her life to help empower others to succeed. She’s navigated a few twists and turns in her own life as she transitioned from being a law professional and into the world of spirituality and wellness. A cardiac episode in her late 20's brought Awilda to face a very real truth in her life. Ever since the age of ten she’d been committed to becoming a lawyer. She took a sense of responsibility in being the first person in her family to go to college and held high expectations of herself to not disappoint. Yet as she lay there in the hospital bed, with only one and half years of law school before graduation, she could no longer deny that this wasn’t what she wanted anymore. The question that surfaced after admitting this to herself was “what intention do I want to live my life with? What kind of intention do I want my work grounded in?” She pinpointed that her passion was to help others. The journey that ensued was onerous, messy and wonderful. By following the thread of "wanting to help people" Awilda was able to hone into exactly how she could help. Today, she’s not only living her dream by helping other people live their dreams, but she’s also an inspiration for the multi-passionate soul who loves more than one thing and wonders how it could possibly come together. Tune in to hear the rest of her story! In this grounded conversation Awilda shares valuable wisdom about pursuing what you love and how to manifest it to life including mantras and mudras that you can use. Marla Meenakshi Joy, Owner and Director of Downward Dog Yoga Centre, spent years in the Himalayas studying Meditation, Sanskrit and Yoga Philosophy. She’s been studying meditation and the philosophy of the Vedas since 1988. She began teaching in 1999 in Teacher Training programs across Canada, the U.S., Europe and Asia, as a teacher of Philosophy and Sanskrit, Chanting and Meditation, Ashtanga and Vinyasa yoga, and Restorative Yoga. Wait, there’s more! She’s also a celebrated song-stress and leads Kirtan with her band SWAHA. What a pleasure it was to have a conversation with this soul that’s been steeping in the wisdom of yoga, continuing to expand her growth year after year. What’s really interesting is hearing what the yoga scene was like 30 years ago. In this episode, Marla shares her yoga journey from being a young 19 year old who went off to the Himalayas and finally found “home” in her yoga practice to the influential teacher/yoga studio owner/songstress that she is today. We catch tidbits of her wisdom along the way as we take dips into understanding ashtanga vinyasa yoga, the Vedas, Kirtan and more. Amongst the tools she shares are mantras to help clear the way, remove fear and reconnect to your true nature.